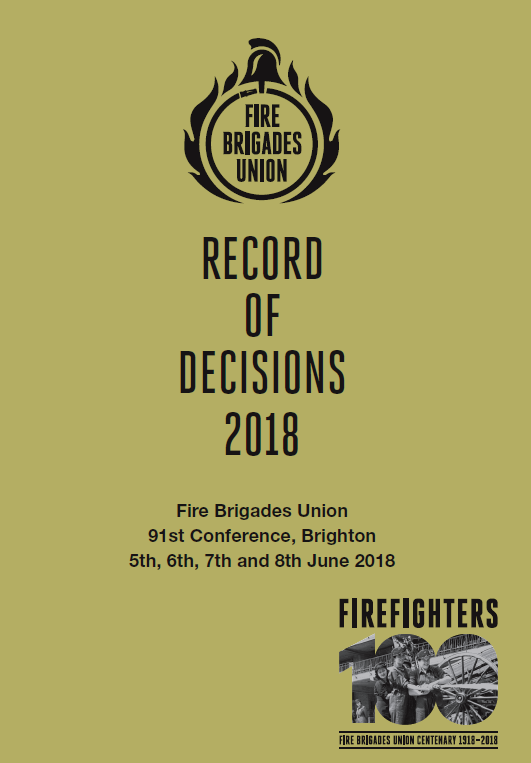 Record of decisions from the 2018 Fire Brigades Union conference. 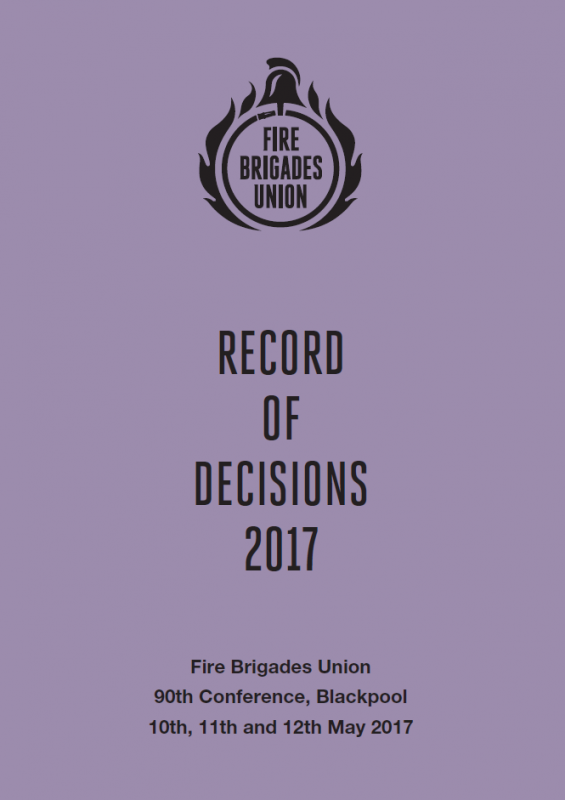 Record of decisions from the 2017 Fire Brigades Union conference. 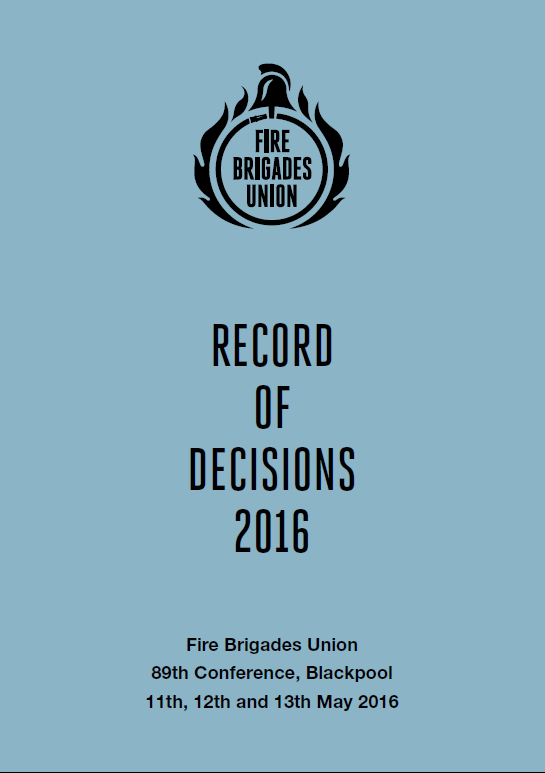 Record of decisions from the 2016 Fire Brigades Union conference. 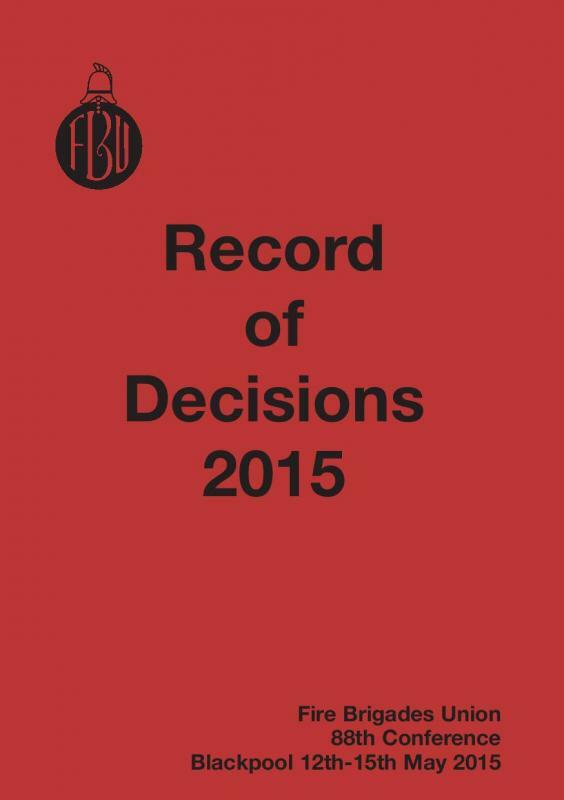 Record of decisions from the 2013 Fire Brigades Union conference. 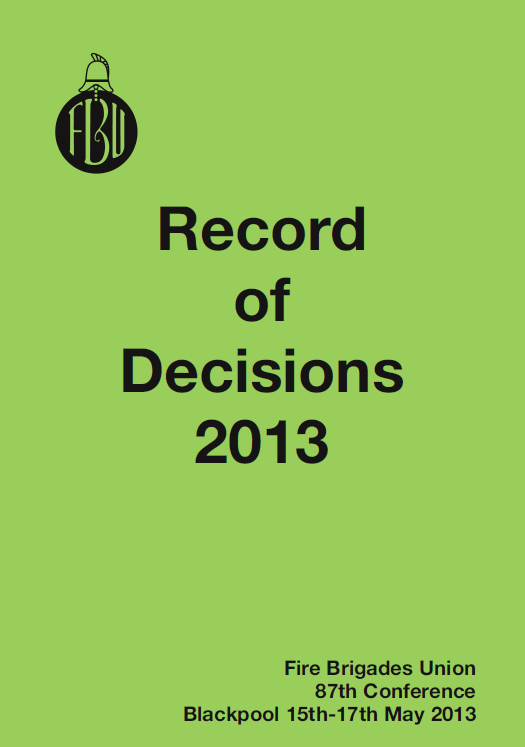 Record of 2012 Special Conference Decisions Blackpool. 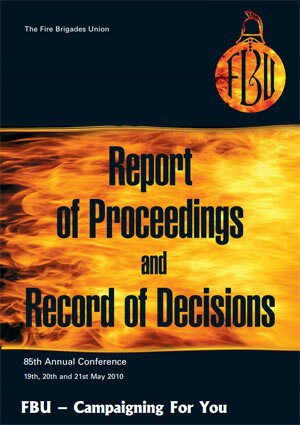 Fire Brigades Union Special Conference Blackpool 19th-21st June 2012. 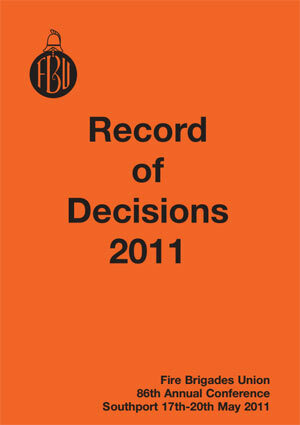 Record of 2011 Annual Conference Decisions Southport. Fire Brigades Union 86th Annual Conference Southport 17th-20th May 2011. 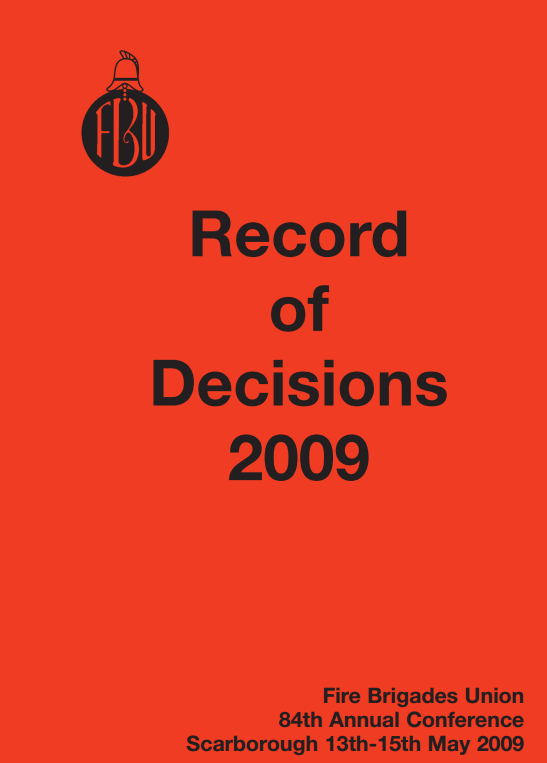 Record of 2010 Annual Conference Decisions Southport. Fire Brigades Union 85th Annual Conference Southport 19th-21st May 2010. 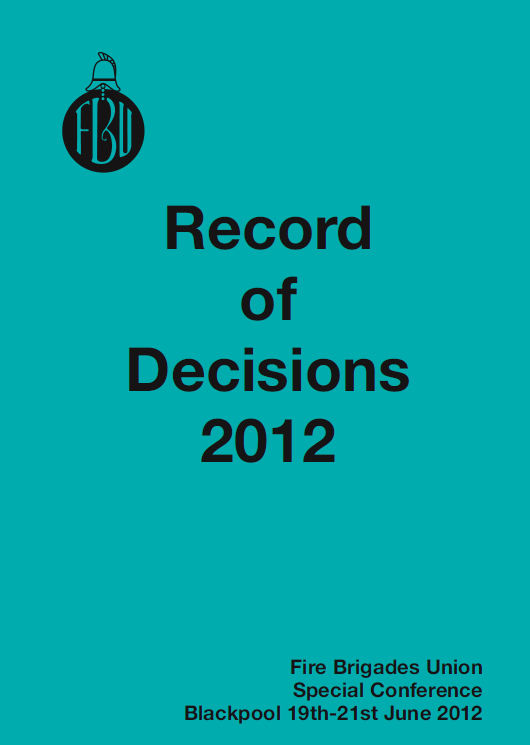 Report of Proceedings and Record of Decisions Annual Conference 2010. 85th Annual Conference 19th, 20th and 21st May 2010. 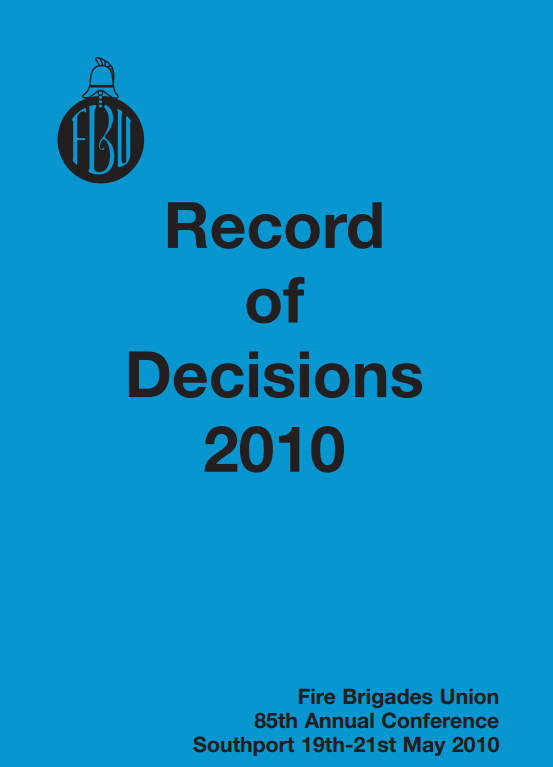 Record of 2009 Annual Conference Decisions Scarborough. Fire Brigades Union 84th Annual Conference Scarborough 13th-15th May 2009.